A colour photograph of Brock Street South. View is looking north towards the intersection of Brock Street and Dundas Street. 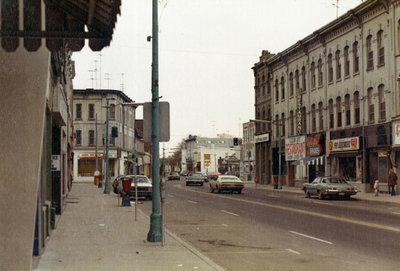 Brock Street South, 1977, Robert Kirk. Whitby Archives D2013_005_004.